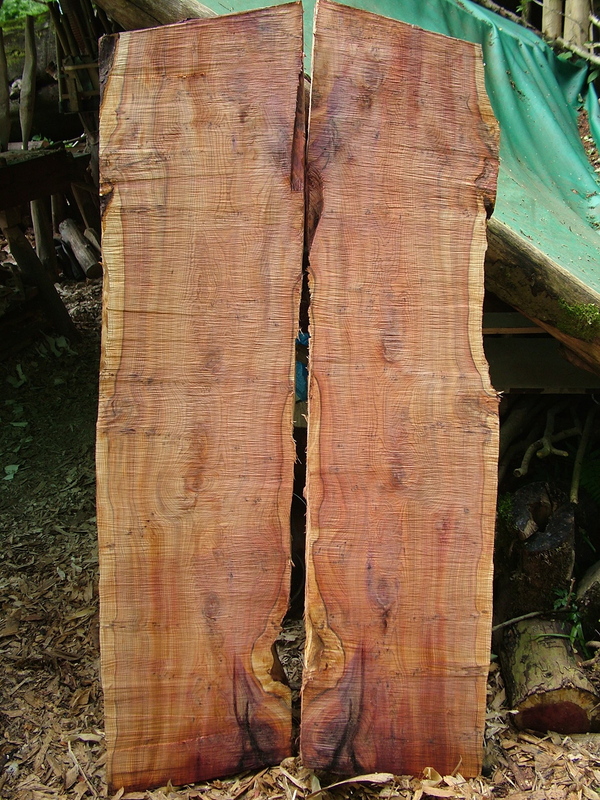 Although with lumps of English yew like this, it counts for quite a lot. I keep having walks in Strid near The Bodgery after my lunch to feast my eyes on stuff that’s happening. My eyes nearly popped when I saw this! A five leafed Herb Paris. 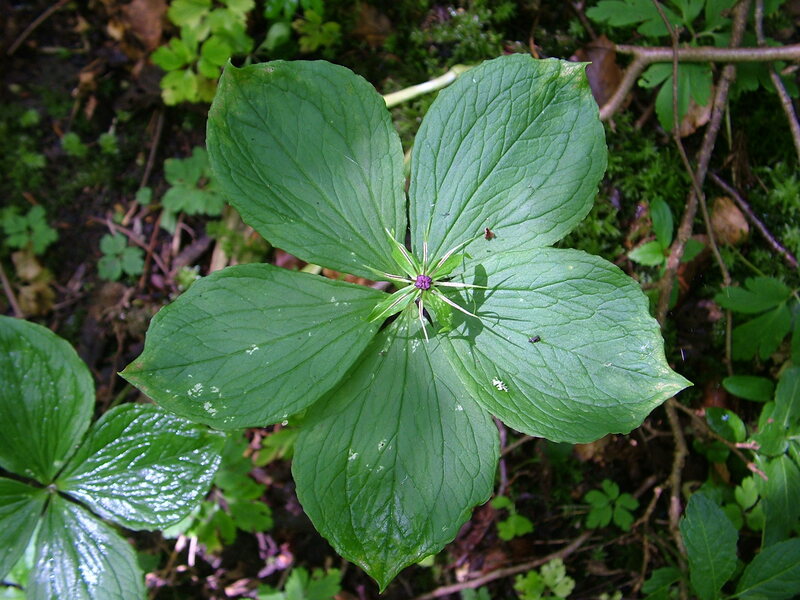 As before, Herb Paris is and ancient woodland indicator. It is called Paris quadrifolia – four leaved. You would have thought it would have brought good luck? Well apparently not for bodgers. 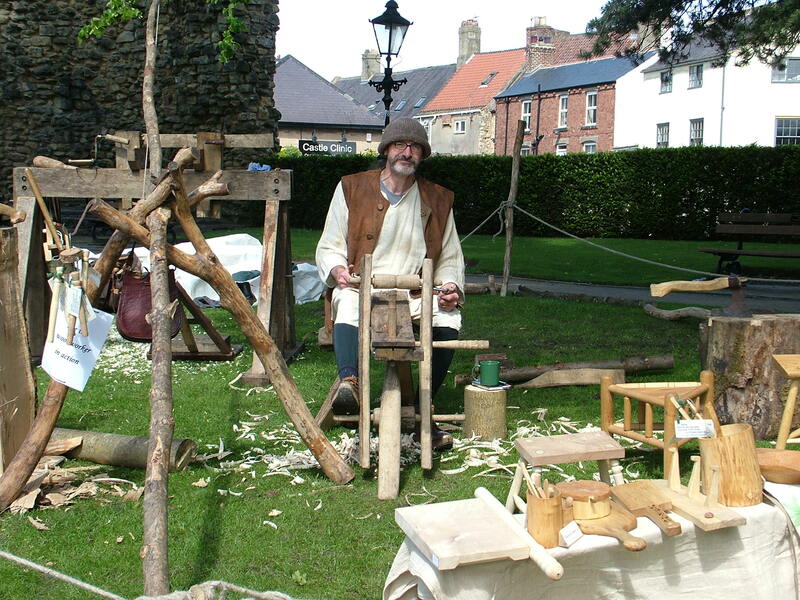 On Sunday I was at Knaresborough Castle – the one demo where I dress up on a slightly medieval theme – well it is their medieval day. Anyway, although it was warm and dry, there was a bit of a breeze. While I was taking the Land Rover and trailer offsite the horizontal section of the A frame bust. I rigged the tarp into a mono plane back against the rear wall. Another head on gust and the top of one of the side A frame bust, over went the whole rig backwards – no deaths though, fortunately. After a rather panicky delayed start the day went well, but judging from this photo perhaps I should consider a career change – tree ‘surgeon’ perhaps? 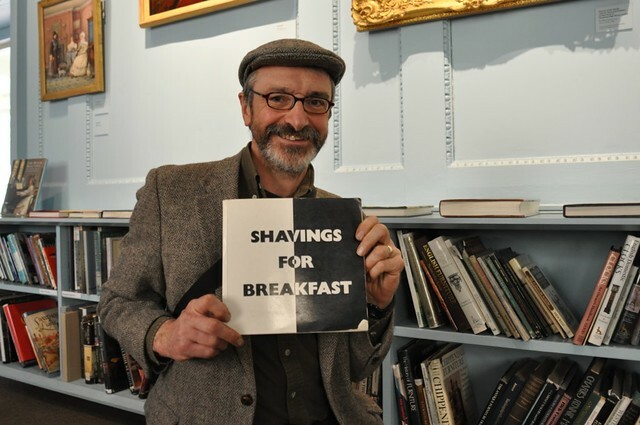 Or maybe I should change my breakfast diet?